An important part of the C-SERVEES project is gathering opinions from relevant stakeholders regarding the barriers and opportunities for applying the principles of the circular economy to the electrical & electronic sector. 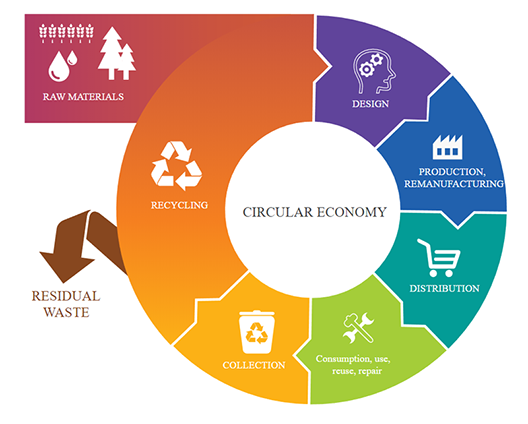 These opinions will inform the development of the circular economic business models for C-SERVEES which in turn will help to develop the demonstration products. Understanding the barriers and opportunities in more detail is critical for developing business models that address the needs of all stakeholders, take on the challenges that are presented to us and grasp the opportunities that are available to us. The products that are developed cannot influence a change in the economic approach in the sector if they do not fully address the barriers and opportunities that the stakeholders tell us have the most impact. Thank you to everyone that took the time to respond, the survey is now closed and the responses are being analysed. Data will be fed to other parts of the project and will be important for informing the development of the Circular Economic Business Models. Further consultation on the results will take place with relevant stakeholders before a report is produced for the end of June. C-SERVEES aims to boost a resource-efficient circular economy in the electrical and electronic (E&E) sector through the development, testing, validation and transfer of new circular economic business models (CEBMs) based on systemic eco-innovative services that include: eco-leasing of EEE, product customization, improved WEEE management, and ICT services to support the other eco-services. ICT tools will be developed as the driver of the proposed eco-innovative services to take full advantage of the potential and synergies of two major revolutions of our time: the circular economy and the Industry 4.0. The project will contribute to transform the E&E sector into circular and 4.0, raising new opportunities for end-users (such as their involvement in design or the access to a product as a service) and for social and solidarity economy (conducted by NGOs, like EMAUS, which employ people at risk of social exclusion to repair and prepare WEEE for re-use). The techno-economic, environmental and social viability of the new CEBMs will be validated through demonstrations dealing with four target products belonging to different EEE categories: large household appliances, IT equipment, telecommunications equipment, and consumer equipment.